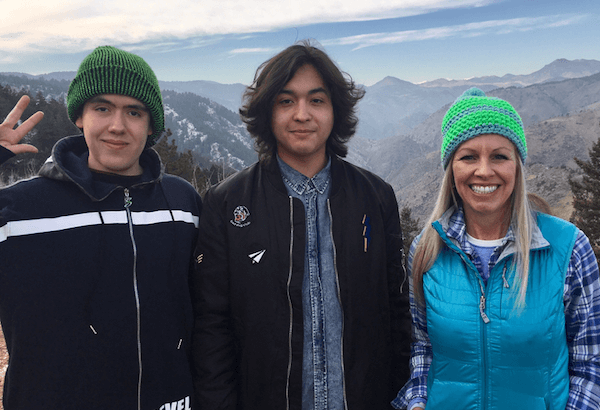 In partnership with the Chilean government, Bridge English in Denver recently hosted two young students from Southern Chile, Bastián and Alonso. These students were sponsored by Chile to take part in a three-week General English program at Bridge, during which they improved their language skills and learned about U.S. culture. Student Activities at BridgeEnglish in Denver! Bridge Rolls Out New IELTS Power Prep Programs! 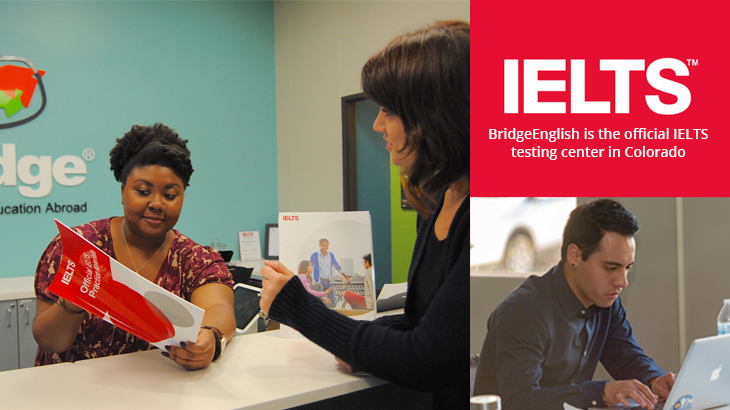 Bridge English, headquartered in Denver, Colorado, has just launched new programs for IELTS test preparation. The IELTS Power Prep courses offer online or in-person test preparation, mock IELTS testing, or a bundled combination of all three. It might seem easier to take Business English classes in your home country, but if you’re serious about advancing your professional career, studying English abroad has benefits that make it worth the investment. Consider these 5 advantages to learning the language of the corporate world in a culture where it’s spoken! January 18, 2017 August 8, 2017 Jennifer Collis	Leave a comment BridgeEnglish in Denver, esl-blog, Meet our students! 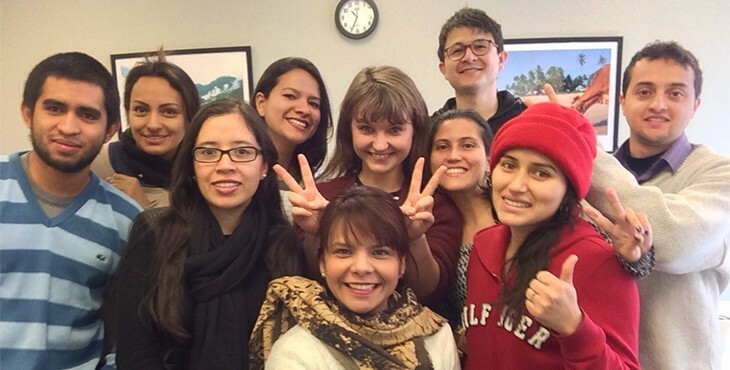 Students from two universities in Colombia came to the U.S. to study at Bridge as part of a government scholarship they received for high achievement. 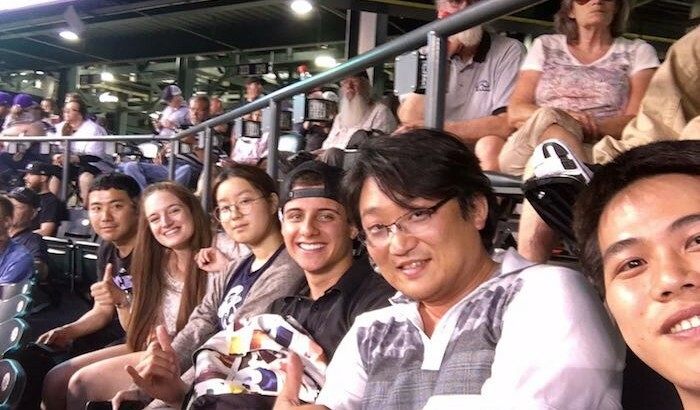 The student group studied at Bridge in Denver for a three-week General English program, and also took part in cultural excursions designed to increase their proficiency. Upon completion, most saw their levels improve dramatically! December 23, 2016 August 8, 2017 Jennifer Collis	Leave a comment Culture Shock, esl-blog, Meet our students! Learn English Vocabulary for Christmas! It’s the holiday season in much of the world, and with it comes new English words and phrases you can use. 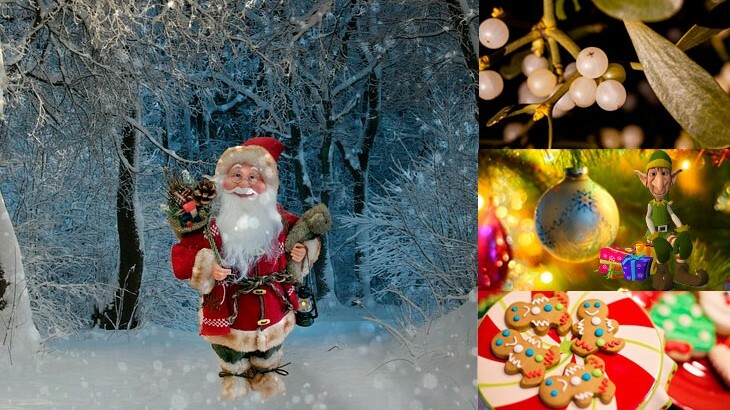 So if you’re not sure who lives at the North Pole or what it means if someone says they hope to “meet you under the mistletoe,” you better brush up with this ESL lesson about Christmas words and phrases. Do you have your smartphone with you right now? Then you’ve also got a great opportunity to practice your English for free. How? 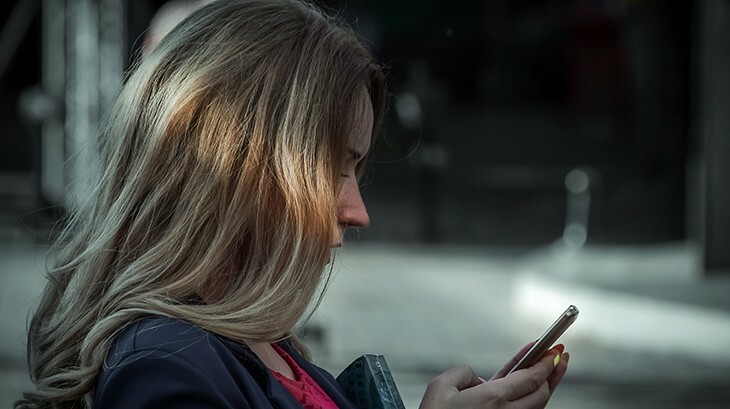 Here are 8 apps and websites you can use today that offer adult learners creative and fun ways to improve their English anytime and anywhere. As a student in the US, you will have a chance to travel before or after your English course. The US has many world-famous attractions just a short flight from our language centers. To make the most out of your time and budget we have put together the best sites for travel discounts and deals! 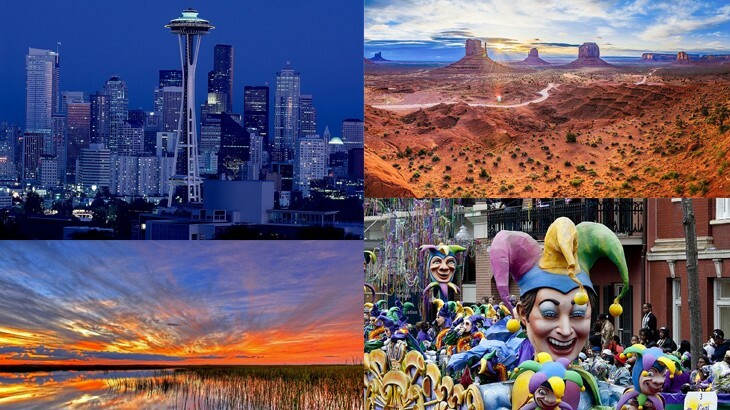 Here are 5 sites every student should know to save on travel in the United States. BridgeEnglish students in Manhattanville College are just 20 minutes from legendary New York City, “the city that never sleeps”! 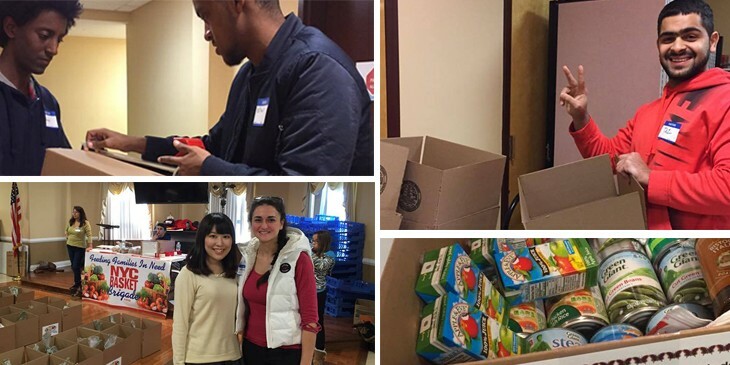 Here are 10 fun, free activities to entertain yourself on a student budget while you study English in New York. 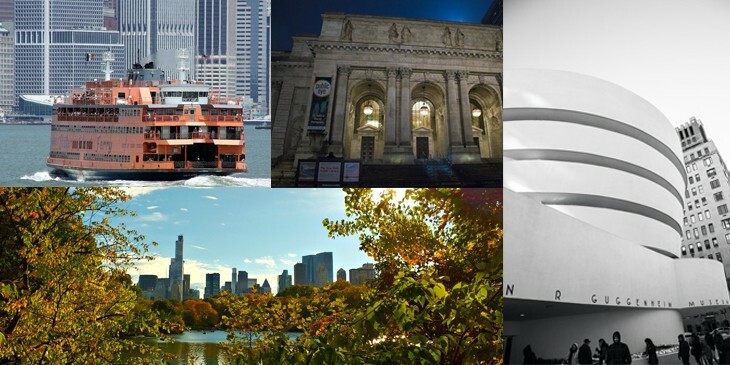 Visit Central Park, stroll the Museum of Modern Art, ride the Staten Island Ferry and much more!